Blue structured jacket, geometric necklace, earrings and rings, all from Aishwarya’s personal collection. 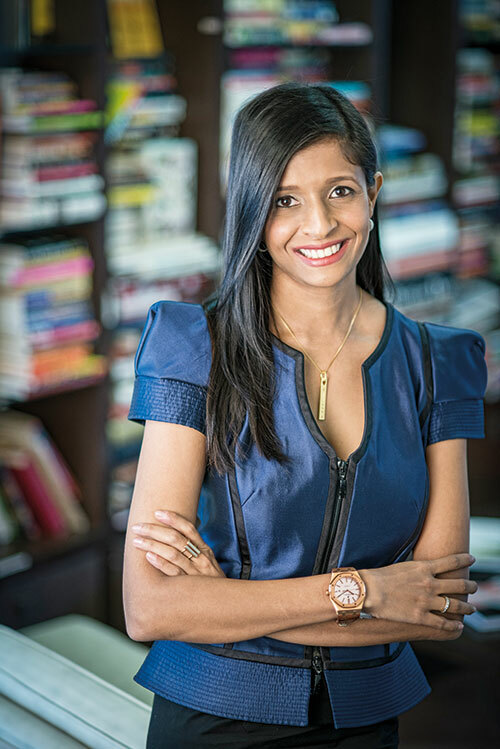 Always surrounded by art and artefacts, the co-founder of India Design Forum (IDF) is reinforcing the importance of design in India. My mother Rajshree Pathy and grandmother have influenced me. I remember my mother gifting me small paintings by Anjolie Ela Menon and Piraji Sagara as early as my 16th birthday. When we launched IDF, we were thrilled to be the first to bring some of the most renowned names in design such as Karim Rashid and Paola Antonelli to India. As an art collector, I buy what I like, if I can afford it. I’m always on the lookout for works by upcoming artists. Travel is the greatest exposure you can give yourself. It opens up your mind to new ways of thinking and living. 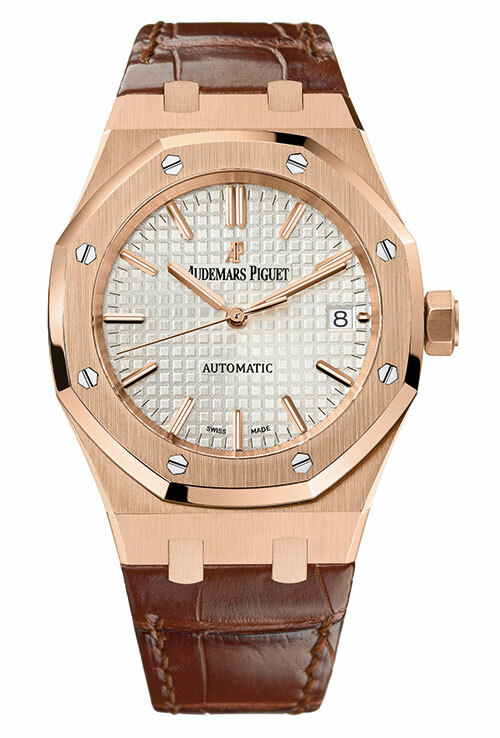 Royal Oak Selfwinding watch with 18-carat pink-gold case and brown alligator bracelet, from Audemars Piguet. One of the biggest challenges with doing anything pioneering, unconventional and not-for-profit is finding ways to fund it. The second IDF was an important milestone. To see people like Thomas Heatherwick on stage, have an auditorium of 1,300 full to the brim for two days, and to know that I was one of the main forces behind it was an unsurpassable experience. My personal design sense is influenced by modernism, art deco and Bauhaus. I like things that look like they have a past or those that are meticulously crafted. Most importantly, I like to feel good around them.